The Confederations Cup kicks of this weekend, and in preparation we here to give you the lowdown on Asian champions Australia. Whether you’re a newcomer to Australian football or an Asian football aficionado, we hope to offer you something of use in the run up to Russia, while offering you an alternative view of what the team has to play for, some 12 months to go until the World Cup. We’ve put together a few posts to keep you informed, so please use the links below, and let us know what you think by tweeting us on the site. 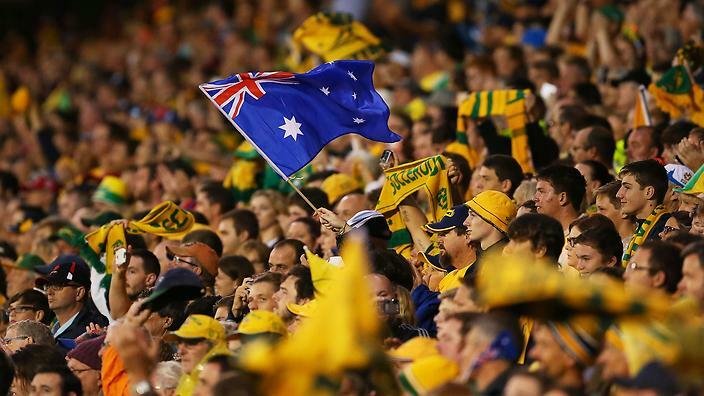 The Socceroos qualified as Asian continental champions on home turf at 2015’s Asian Cup. The tournament came just 6 months after Australia bowed out of the World Cup in Brazil without a point, yet Ange Postecoglou had molded the squad into a possession heavy attacking side, that in front of a vibrant Australian crowd put in some impressive performances that had rarely been seen from the Socceroos away from home. Their final victory came against South Korea, with substitute James Troisi notching the winner in extra-time to clinch the trophy and their place at the Confederations Cup. Australia will be taking part in their 4th Confederations Cup this summer, but Russia will be their first since joining the Asian Football Confederation from Oceania. Comparatively to their World Cup participation history, they’ve tasted relative success within the competition, twice making the semifinals, appearing the final on their tournament debut in 1997. In their early successes in Saudi Arabia (1997) and Japan/Korea (2001), the bulk of their squad was made up of Australia’s golden generation, including Harry Kewell (who scored in Australia’s 1997 semi-final victory), Mark Viduka and Mark Schwarzer. In their most recent expedition to the tournament, back in 2005, the Socceroos fared much worse, losing all three of their group matches, conceding 10 goals in total. The silver-lining of the campaign saw boss Frank Farina replaced by Guus Hiddink, who went onto to qualify for Australia’s first World Cup in over 30 years and clinch their best achievement to date making it out of the group stage in Germany. Will they return to Russia for the World Cup next summer? Australia remain unbeaten in the final round of qualification, but their place at next year’s World Cup remains in the balance after a series of draws greeted the end of 2015 and the start of 2016. Victory last Thursday against one of their key rivals for qualification Saudi Arabia drew them level going into the final two qualifiers (to be played at the end of August/beginning of September). The top two from their qualification group will automatically go to Russia in 2018, while third spot will feature in a set of playoff matches, first against a fellow Asian side, then if successful against 4th placed in CONCACAF qualification (currently Panama), to qualify as Asia’s 5th representative at FIFA’s showpiece event. With an away trip to Japan, followed by a home tie with Thailand to come, nothing is guaranteed for the time being. Ange Postecoglou experienced a modest playing career that was restricted to Australia, where he won the National Soccer League title with South Melbourne, an accolade he repeated as their coach in 1998 and 1999. He went on to clinch the domestic A-League title with one of the most aesthetically pleasing teams in Australian football history – Brisbane Roar, before heading off to arguably the biggest side in the country Melbourne Victory in 2012. He was appointed as Australian head coach in October 2013, replacing German Holger Osieck on the back of consecutive 6-0 friendly defeats to Brazil and France. The matches amounted to a recent footballing low point for the Socceroos, it was seen as the last straw for a side that had lost public backing, despite qualifying for the upcoming World Cup in Brazil. His first three years in the job have been broadly positive, the style of play orchestrated in Brazil was the tonic Australian fans needed in the wake of Osieck (despite Australia going home pointless), before going on to clinch their first continental cup victory since moving to the AFC in 2015. Postecoglou’s progression as a coach to play exciting, attacking football has gained him plenty of admirers, while their Asian Cup triumph (for now) silences those critics that claim his method of play is style over substance. Australia’s stalling World Cup qualifying campaign had left some questioning his role, but in the main he’s a well respected coach, who has indicated he’ll leave Australia at the end of this World Cup cycle to test himself elsewhere, with high ambitions of taking up a role in Europe. Over the three and a half years Ange Postecoglou has been in charge, the way Australia set up has evolved considerably alongside the talent at his disposal. Their early successes relied upon attacking full backs and inverted wingers, while post-Asian Cup they’ve often rolled out a much narrower looking diamond midfield to best utilise an abundance of central midfield talent. A recent dearth in reliable options at full back has again sprung Postecoglou into changes since March, where Australia have rolled out a 3421 formation, which plays to their strengths; allowing for quicker pressing, in being able to start two central attacking midfielders and to make the most of forward thinking wingers. In an attacking sense this looks to be the perfect formula, however their defensive line of three have been caught out regularly on transition, looking highly susceptible from balls in behind. After remaining firm with his style against Brazil (in Tuesday’s warm up friendly), it looks like it’s here to stay for at the least the start of the Confederations Cup. The key may be how they use it; they’ll unlikely wield too much possession (against Germany at least), so a deeper starting position to ensure minimal exposure of their backline will be essential. Just over a year ago, Australia went to Kaiserslautern and came away with a draw from the World champions orchestrating the same approach, of deep defending and quick transitions, a match that both camps will no doubt be looking back upon with great interest. The initial squad was announced prior to their crucial World Cup qualifier with Saudi Arabia and friendly send off against Brazil, which raised few if any major talking points; aside from a general disregard of domestic talent, while overlooking long time regular Nathan Burns. Since then however, key injuries to two of their certain starters; Mile Jedinak of Aston Villa and Brad Smith of Bournemouth have cast doubt in key areas that’ll no doubt make the Socceroo selection in Russia much weaker. Phazed into the Socceroo setup post-Asian Cup and has rarely missed out since. Renowned for his flexibility of positions, can play deep, on the side of a diamond or in behind the forward, Mooy is the metronome that keeps the side going in possession. The greatest accolade he can be attributed to is when he plays well Australia plays well, but conversely when he can’t get hold of the ball, Australia struggle – see Japan at home and Iraq away from World Cup qualification. Set to move to Huddersfield Town on a permanent basis from Manchester City after a successful loan spell with the Yorkshire club that saw them promoted to the Premier League for the first time in their history. Attacking midfielder who’s starting to illustrate his mercurial talent with greater regularity after initially disappointing in Socceroo Green & Gold. Imposing, physical, and when in the mood a force of nature, Rogic plays best when he’s given space to run at defences, rather than tracking back breaking down opposing attacks. Despite being out for much of 2017 with an ankle injury, Rogic returned with prominence ahead of the Confederations Cup, scoring the stunning winner against Saudi Arabia last week. Cultured central defender who played in Holland with Zwolle for two years before returning to Asia with big spending Jiangsu Suning in China last year. Spent the last 5 months on loan in Italy with Inter which materialised in only 1 appearance. Despite his lack of match time, Sainsbury’s return for the Socceroos against UAE in March signalled his importance to the side, especially if they persist with three at the back. He remains the most comfortable defender in possession, yet like his peers he also lacks pace. Albeit assigned to the bench for national team duties nowadays, at 37 years of age, Tim Cahill remains a potent weapon to throw on in the last 20 minutes of matches. Set to reach a century of caps (and potentially a half century of goals) in Russia, Cahill has seen Australia’s reliance on him lessen as Tomi Juric makes the starting striker spot his own. Now back in Australia with Melbourne City, Cahill continues to illustrate what an impact he can have off set-pieces, remaining one of the strongest performers in the air in World football.